I would like to place on record my appreciation to you for the manner in which you managed and handled all aspects of putting this Golf Tour together for our group of 12. I have an absolute passion for attention to detail and service excellence and all I can say is you exceeded my expectations. I would like to add that the whole experience at Mission Hills from the Hotel to the actual golf was amazing for us South Africans. The most professional service I’ve ever received. I can’t speaker highly enough about the arrangements and golfing holiday you provided. You remained in touch with us every inch of the way and we felt like a member of your family. Thank you so much. When you book online, you simply don’t get the personal service and assurance of knowing things will go according to plan. Your team of professionals gave us efficient arrangements and saved us money with expert advice on flight routing and logistics. A job very well done! I’m writing to thank Alice in particular for all of her thorough efforts and attention to detail in the planning of our trip. I truly value the personal service that is steadily disappearing elsewhere. 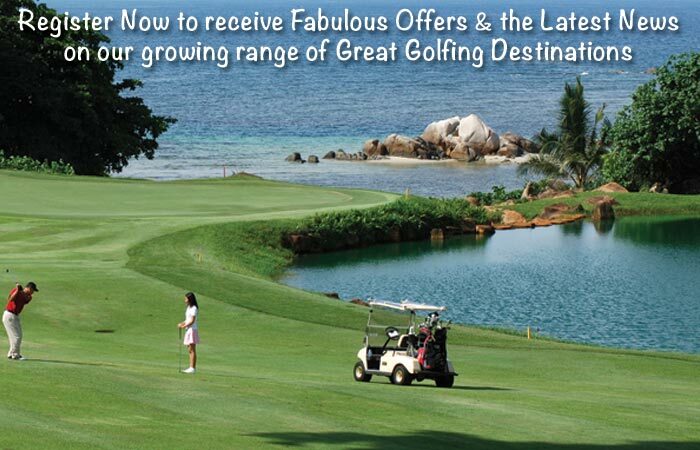 Mission Hills is a spectacular golf resort and I look forward to travelling with you to other destinations. We cannot say enough about the professionalism, sincerity or customer service that your company has provided us throughout the development and accomplishment of this tailor-made holiday. Somehow it has felt more like being guided by trusted friends, than being assisted by a travel company. We had a great trip and all the arrangements went like clockwork. The entire tour was so professionally planned and managed, we’ll be recommending your services to everyone.